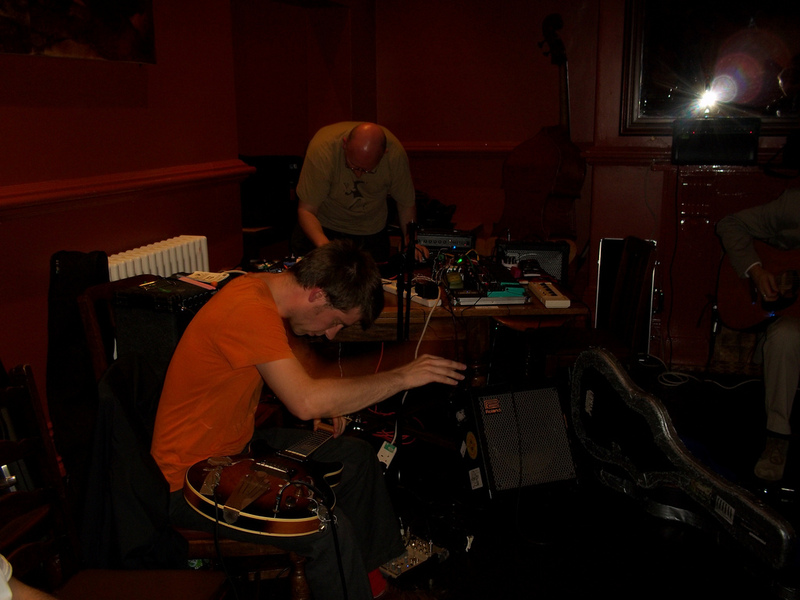 A sample shot from a few sets of pictures up from Frakture on flickr of the St. Lukes All dayer and Centrifuge 6. Next Centrifuge event is 25th November @ Kro Bar in Manchester. 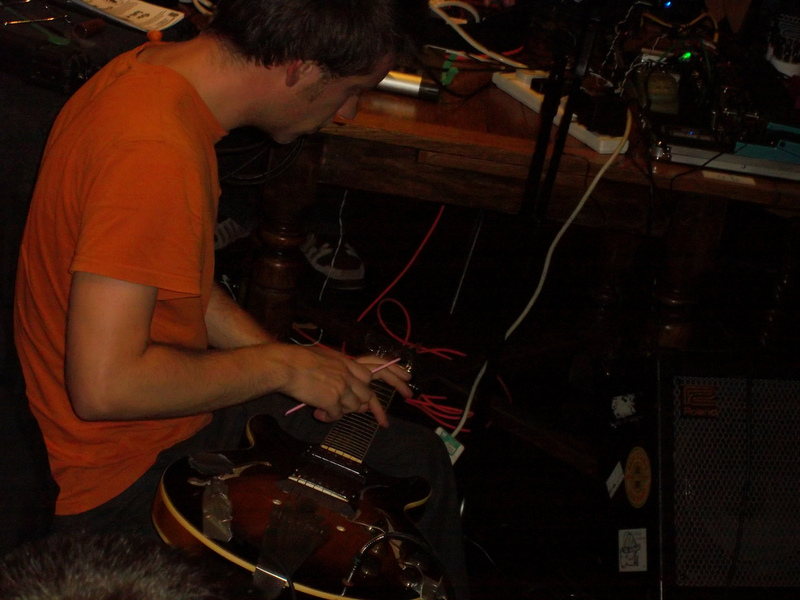 Above you can see the long suffering Ibanez having a dramatic gesture carried out on it in the foreground, Shaun Blezzard in the background and part of John Jasnoch.